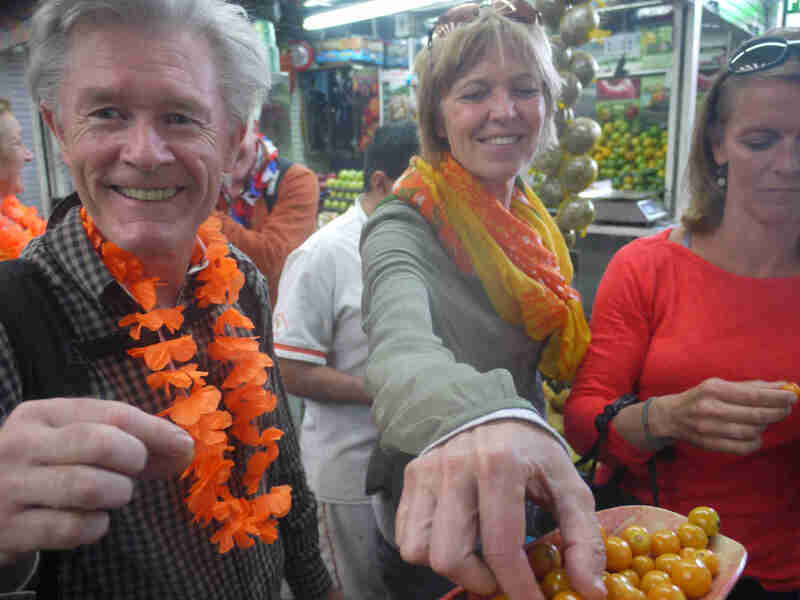 Dutch cyclists with orange necklaces taste uchuvas in Paloquemao fruit market. If only the whole world were a lot like The Netherlands, then bike tours would be a huge business, and the world would be a much better place. 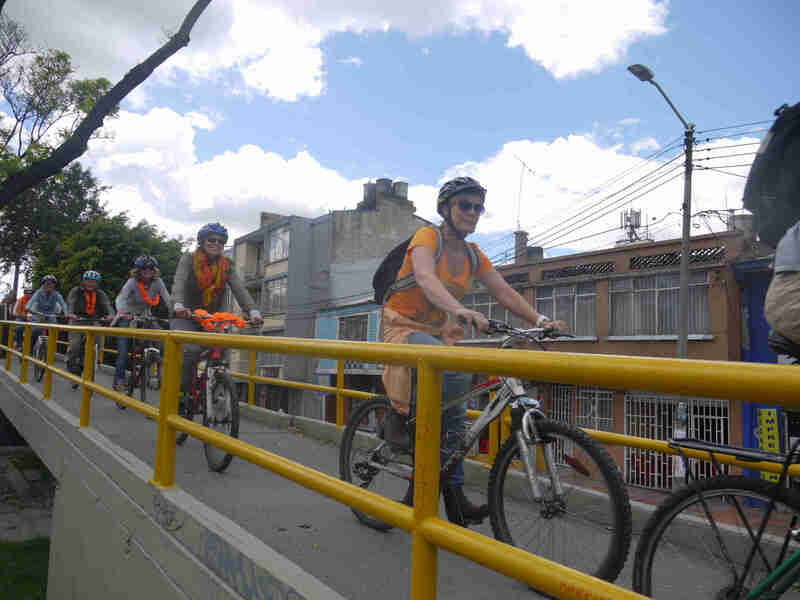 At Bogotá Bike Tours we normally get Dutch riders in numbers far out of proportion to that tiny nation’s size. 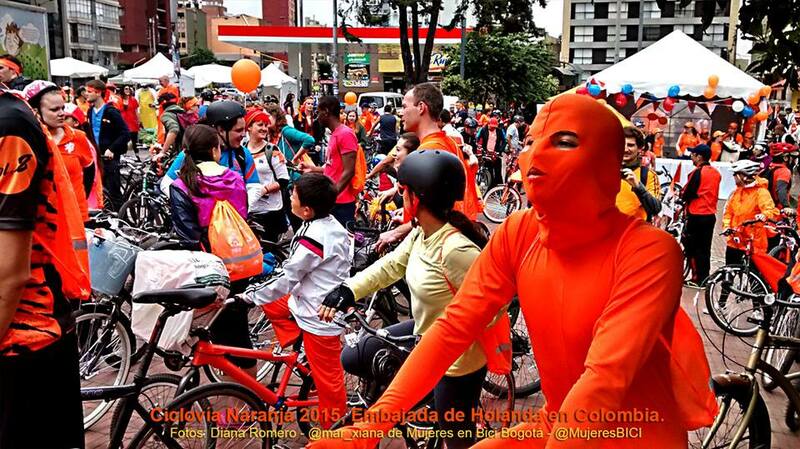 But these last few days we’ve received a big burst of Orange-suited riders, commemorating Dutch King Willem-Alexander’s 48th birthday. 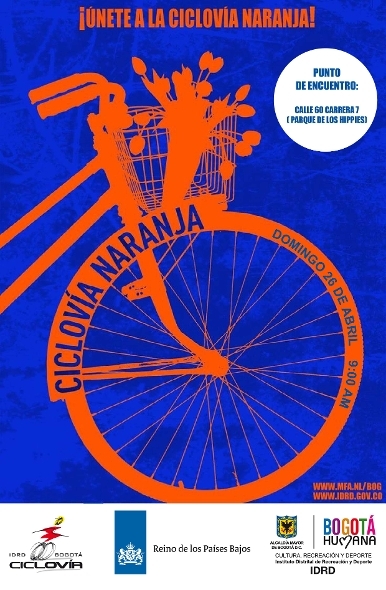 Yesterday, the Embassy of the Netherlands organized a ‘Ciclovía Naranja’ as part of the city’s normal Sunday/holiday Ciclovía, for which they rented some of our bikes. 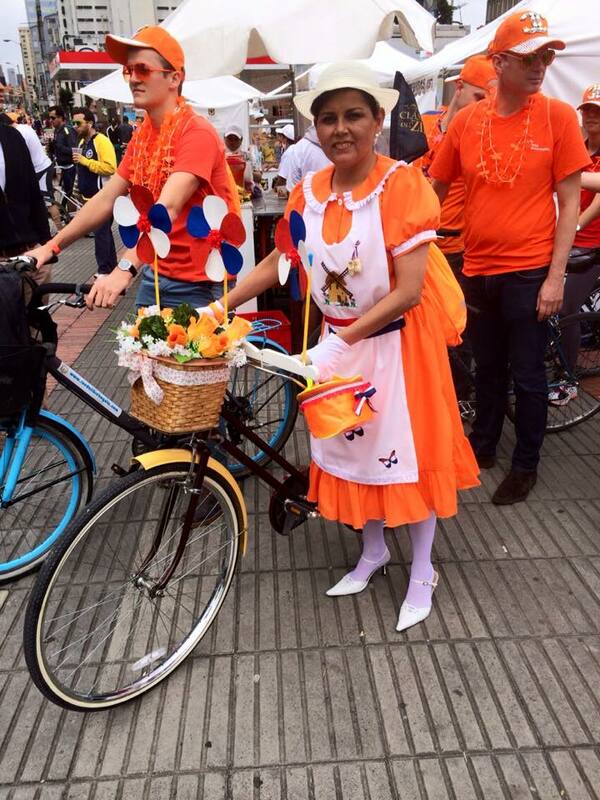 Today, an orange-dressed crew from the Dutch airline KLM did the bike tour – and even oranged up their bicycles. 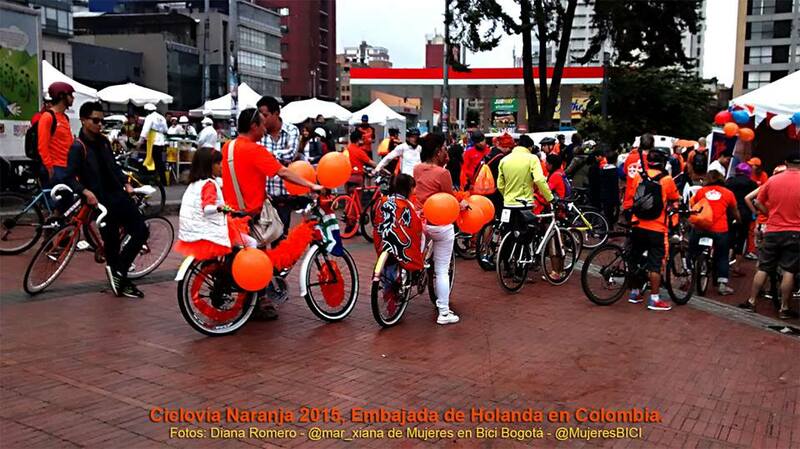 As you can see, even the bikes are dressed in orange! 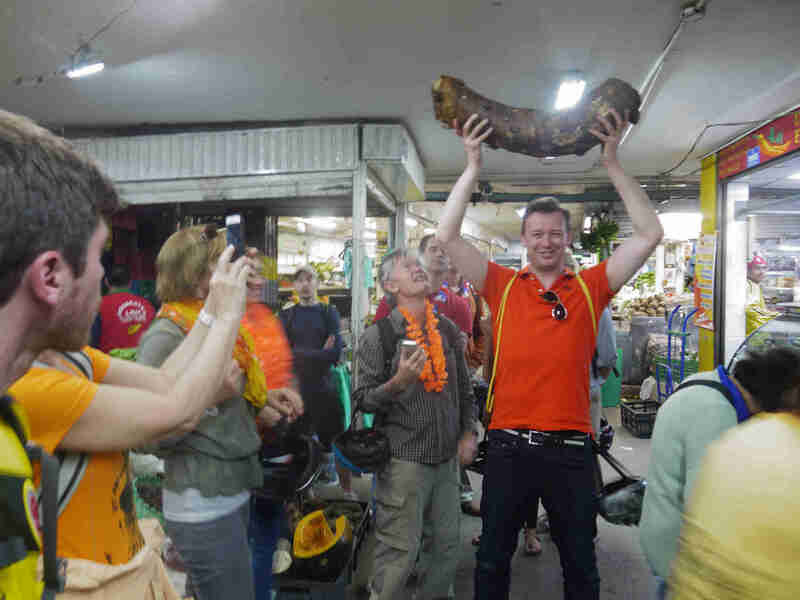 An orange-dressed man lifts a bore, a kind of vegetable, in Paloquemao market. 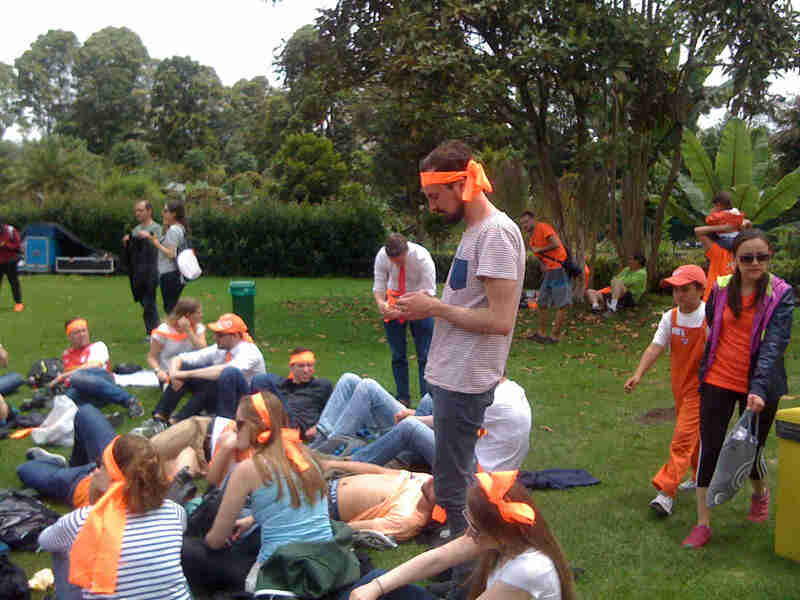 Playing Colombia’s official national sport, tejo, in orange flower necklaces. 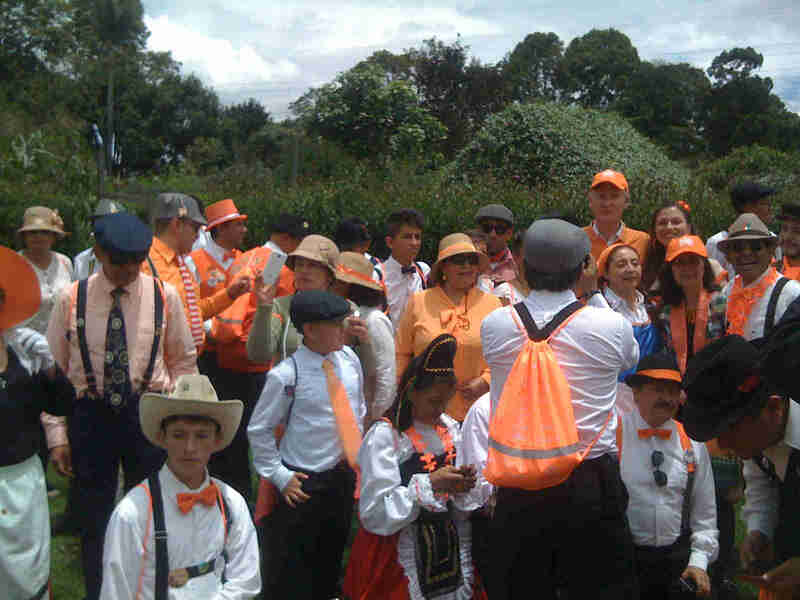 Final three pics are from the Dutch embassy’s Facebook page. 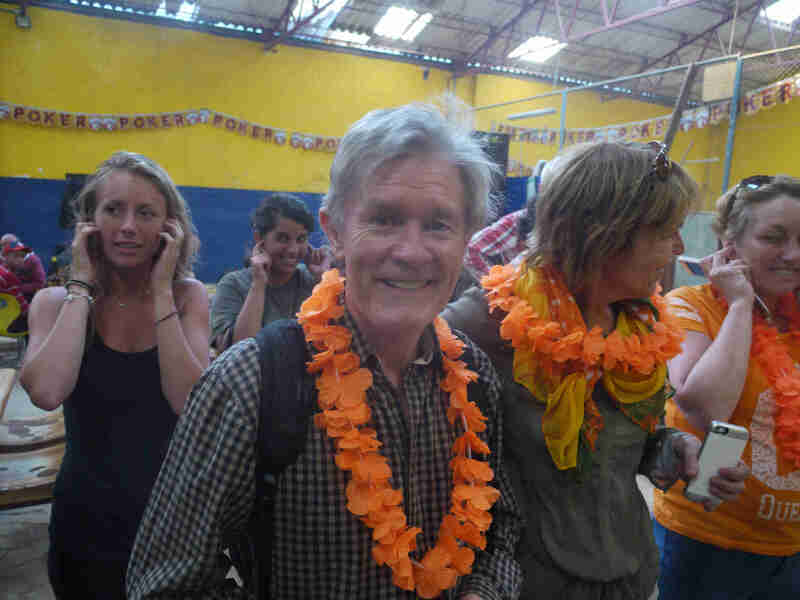 This entry was posted in Uncategorized and tagged ciclovia, dutch, holland. Bookmark the permalink.